Is it safe to do home remodeling during rainy season? Is it safe to do home remodeling during rainy season? A question many of us do to ourselves when thinking of remodeling our home. It is normal that when our family is growing, we are always looking to buy a bigger house or expand the one we already have, this is a reality and Charlotte does not escape from it. If you lean more for remodeling your home, today we want to share with you some recommendations. In Charlotte NC, when doing this type of activities, it is important to take into account that it rains all year, even in summer. Its climate is warm and temperate, even during the month of March, which is a little drier, it also rains. Therefore, it is common that in the middle of all construction activities and remodeling at some point it may rain. When making the decision to remodel your house, it is recommended to plan these works in advance and with knowledge of factors such as the hot season in Charlotte (from May to September), the coolest season (from December to February) and the rainy season (August, September and October). It can work as a frame of reference for decision making regarding the home remodeling. 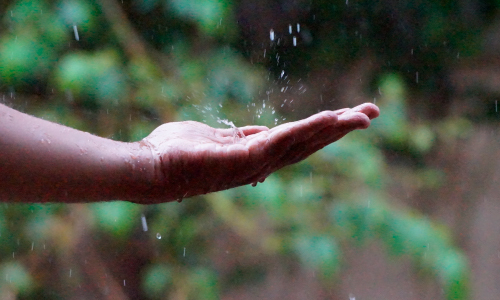 What happens if we make additions or home remodeling during rainy season? What are the possible consequences? Well, we have to consider that probably we move slowly towards our goal, due to we have to take a series of precautions to protect our work, we have to think about the materials and the health of the workers that, definitely, it will influence in their productivity. It is possible that the works involved in the remodeling cannot be executed in the foreseen time; for example, if foundations are going to be laid, open gaps or recesses, it can be hindered by the rains, if the house is going to be painted or waterproofed it cannot be done while it is raining, also the materials and the work itself can be damaged if the appropriate measures are not taken. Most of the time when extending the period of time, it could also increase the value of the contract. First, be sure of the type of remodeling you want to do, keep in mind that it is best to seek for the advice of an expert, reasons why in Dream Home Builders and Remodeling you can have all the advice you need to fulfill your dreams of having the best home of all. Working with an experienced contractor will ensure that the staff under your charge can deal with the weather more safely, especially when it comes to safeguarding the materials and everything that could be compromised in the work. In the end, the contractors are the experts and we know how to handle possible setbacks. To execute your remodeling project in less time, choose to do it between May and July, which is when the rains are less intense. Keep in mind that less is more in some situations… so, taking care of your investment has to do, not only with a good budget, but also with a good planning, which will guarantee success. If we organize ourselves we can do these activities at any time of the year. We should only take into account the best recommendations and the experience of experts in this field. And you? Have you done home remodeling during rainy seasons? What has been your experience?